Since the onset of global crisis in recent years, academics and economic theorists from various political and cultural backgrounds have been drawn to Marx's analysis of the inherent instability of capitalism. The rediscovery of Marx is based on his continuing capacity to explain the present. 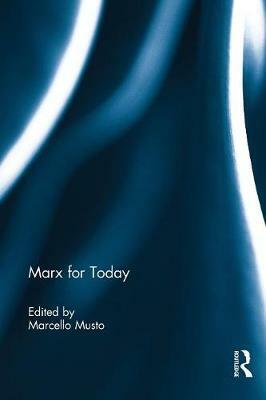 In the context of what some commentators have described as a "Marx renaissance", the aim of this book is to make a close study of Marx's principal writings in relation to the major problems of our own society, and to show why and how some of his theories constitute a precious tool for the understanding and critique of the world in the early twenty-first century. The book brings together varied reflections on the Marxian oeuvre, drawing on different perspectives and fields, and argues its case in two different parts. The first will encompass such diverse areas and themes as political thought, economics, nationalism, ethnicity, post-capitalist society, freedom, democracy, emancipation, and alienation, showing in each case how Marx has still today an invaluable contribution to make. The second presents a complete and rigorous account of the dissemination and the reception of Marx's work throughout the world in the last decade. Both parts make a significant contribution to the current research on Marx and Marxisms. This book was originally published as a special issue of Socialism and Democracy.